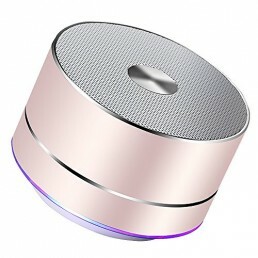 HIGH DEFINITION SOUND: Provides stutter-free music streaming and seamless high definition audio up to 30+ ft. You can connect smartphone via Bluetooth, USB flash drive or auxiliary cable to play your favorite music, podcasts or videos. Two passive subwoofers are located on the right and left side of the speaker producing deep, enhanced bass. Compatible with the NEW Samsung Galaxy S8 & Galaxy S8+. INTUITIVE DESIGN: Easy and simple playback controls allows you to adjust the volume, switch between tracks and pause/play music. 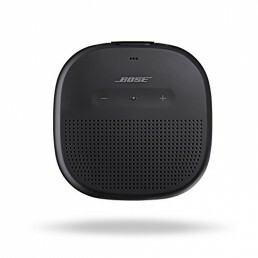 The USB port allows you to connect your USB flash drive directly to the speaker and play audio (Supported Media: MP3, FLAC and WAV). Features 3.5mm aux-in to connect directly to any non-Bluetooth device. Satisfaction Guaranteed: We offer a 2-YEAR hassle-free warranty to ensure long-lasting coverage, power and protection!